The York Rite, like the Scottish, is one of Freemasonry’s Appendant Bodies which is open to a Master Mason to join to further his knowledge of Freemasonry. 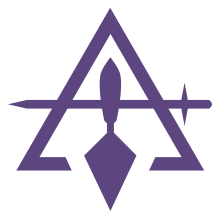 While Freemasonry officially culminates with the third degree of the Blue Lodge, the nine additional degrees of the the York Rite are considered to expand upon and complete the Blue Lodge degrees. 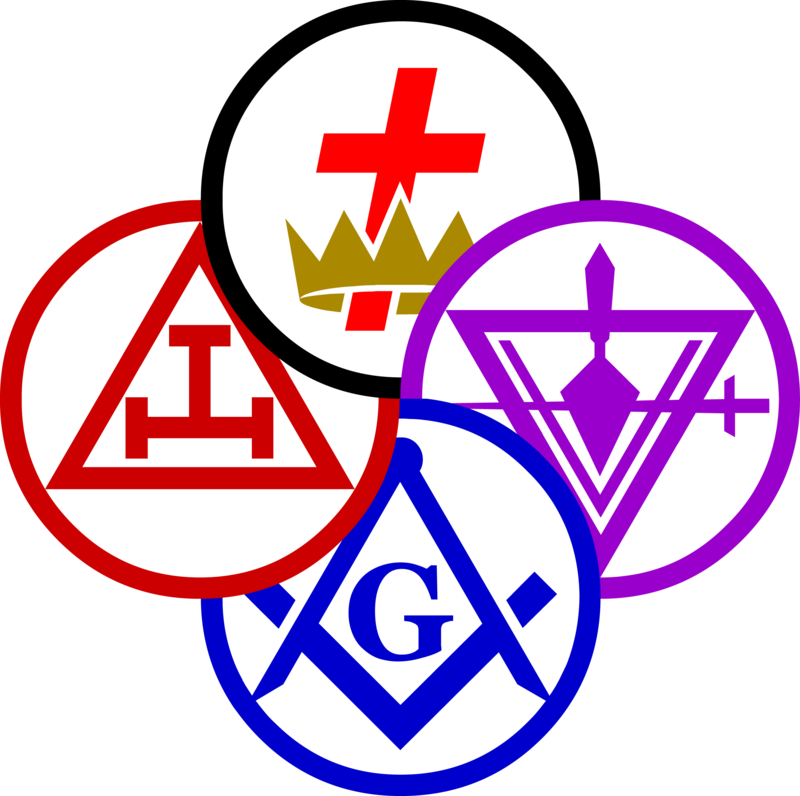 The York Rite is broken down into three “bodies”, each governing and controlling the degree work related to that body. The bodies are Royal Arch Masonry, Cryptic Masonry, and Knights Templar (also called the Chivalric Orders.) The intent is to confer additional Degrees or Orders, each building upon the foundations laid by the Blue Lodge Degrees. The order in which they are received is not necessarily historically chronological. This Degree emphasizes the lessons of regularity, discipline, and integrity. It is a most impressive Degree centered on the story of the Fellowcraft of the quarry and their role in the building of the Temple. This Degree emphasizes the lesson of harmony. 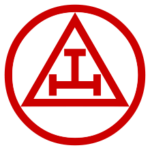 This Degree is conferred because ancient custom required that a Mason must be a Past Master in order to be exalted to the Royal Arch. In some Grand Jurisdictions this Degree is conferred upon all sitting Masters of the Blue Lodge. The Degree confers no actual rank upon the recipient, but is exemplified to maintain the ancient custom. This Degree emphasizes the lesson of reverence. This Degree is centered on the dedication of the Temple after its completion, particularly the consecration of the Sanctum Sanctorum and the descent of the Host into the Temple. It is complimentary to the Mark Master Degree and completes the symbolic lessons introduced in that Degree. This is the completion of the Master Mason Degree and the summit of the original Degrees of the Blue Lodge as practiced in the Antients Lodges of England before 1820. 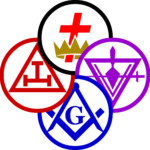 The Degree explains the origins of the Substitute Word found in the Master Mason Degree, the recovery of the Ineffable Word, and its concealment within the Royal Arch Word. This Degree, together with the Master Mason Degree, may have once been exemplified as one large or “super” Degree, with the Master Mason Degree explaining the loss of the Master’s Word and the Royal Arch explaining the recovery of the Master’s Word. This Degree emphasizes the lessons of patience and fortitude. The Degree centers around the Fellowcraft Masons who were artificers fabricating the fittings and furniture of the Temple. It is unusual in that the first part of the Degree depicts events taking place before the death of the Grand Master Hiram Abif, and the last part depicts events occurring after his death. This Degree emphasizes the lessons of devotion and zeal. The Degree centers on the construction and furnishing of a Secret Vault beneath the Sanctum Sanctorum of the Temple, and the deposition of those secrets pertaining to the Craft by the three ancient Grand Masters of the Craft. This Degree bridges the events surrounding the concealment and loss of the Ineffable Word and the events leading to the recover of the Word in the Royal Arch Degree. This Degree emphasizes lessons of loyalty and faithfulness. It centers around events leading to the destruction of Jerusalem and the Temple at the hands of the Chaldeans. This degree is an honorary one, and a member of the Council does not need to have it in order to hold membership or office. This Order emphasizes the lesson of truth. Elements of this Order were practiced in Ancient Lodges before the final form of the Master Mason Degree came into use. This is an Order emphasizing the lesson of faith. This Order requires the Mason to profess and practice the Christian faith. It introduces the lesson and example of the unfearing and faithful martyr of Christianity. The Order is centered on allegorical elements of the Knights of Malta, inheritors of the medieval Knights Hospitaller. Also known as the Knights Templar, this impressive Order emphasizes the lessons of self-sacrifice and reverence. It is meant to rekindle the spirit of the medieval Knights Templar devotion and self-sacrifice to Christianity. The history of this Masonic Order is long and convoluted, with the Order’s ritual differing between that conferred in England and in the United States. That practiced in the United States has a slight militant zeal to the lesson of Christianity, whereas the English ritual is more allegorical. However, the American ritual is most impressive, and more emphasis is placed on the solemnity and reverence associated with the Crucifixion, Resurrection, and Ascension of Christ. Today’s Knight Templar is a man dedicated to the living Christ, and the defense of the virtues contained in the practices observed by all true Christians.